Progressive lenses is also known as multifocal are a type of optical lenses used to correct short sightedness and reading problem within the same lens. It can be fitted on any type of glasses frame, essentially turning it into progressive glasses. Progressive lenses are cater to people with presbyopia （老花）, which is a common symptom among people from 40 years old and above who start to experience difficulty in reading. Progressive glasses provide convenience to wearer such that all ranges of vision are clear ie far (driving), intermediate (computer work), near (reading) with a single pair of glasses. progressive glasses or multifocal will help you to see everything clearly. It doesn’t matter if you have short sightedness or long sightedness, this glasses is suitable as long as you want to solve the vision problem. Vision stability : progressive lens has different structure compared to normal lens, and lens that is more comfortable to wear will be slightly more expensive. Scroll to the bottom to read more about how progressive lens work. 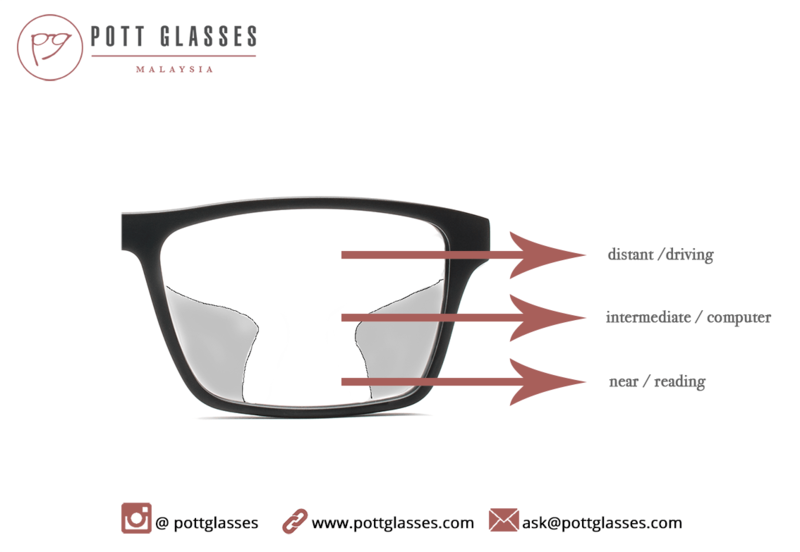 Generally, for beginner wear between age 40-50, progressive glasses is priced between RM700 to RM1500. 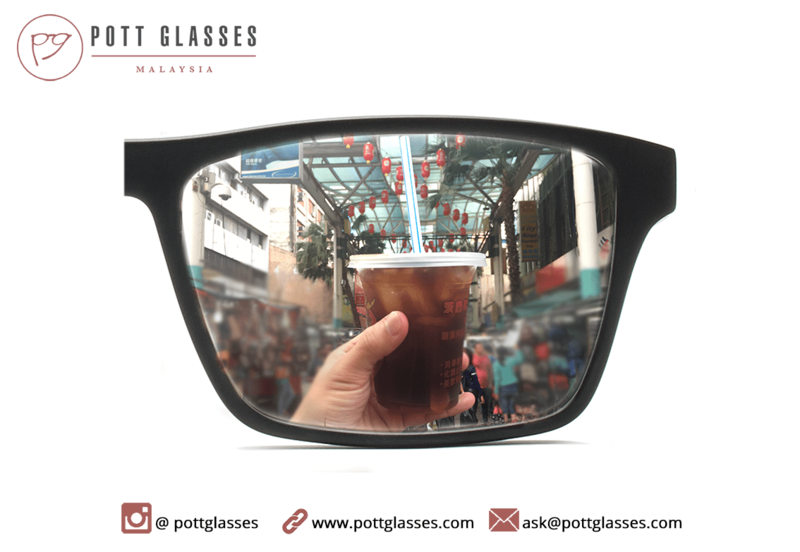 For more complicated prescription or age more than 50, we recommend better lens that priced between RM1500 to RM2000. In the process of prescribing progressive glasses, we will perform detailed eye test, understand a lot about your lifestyle, and find out what vision problem you have. We then help you to find the suitable frame and explain about how the lens work to set proper expectation. What to expect when you first started to wear progressive glasses? If you are interested to find out more about progressive glasses, continue to read about it below. What are they? Progressive lenses are also known as Progressive Glasses / Progressive Lens Glasses with the function whereby the prescription distance normally starts on the very top part and will steadily increase in strength as the region looks down. Simply put – Just imagine 3 sets of lenses associated with one lens, 3 in 1. Just as if you needed to change 3 pairs of glasses for 3 different scenarios, but now it is combined without ever having to change your glasses. Progressive glasses is one of the best solutions to solve reading problems and suitable for daily usage. There may be few people who have bad experience with it but this type of glasses have provided convenience to a lot of people.